Kardashian opens up about wanting to be more vocal about the issues affecting the U.S.
Kim isn't a fan of Trump. Kim Kardashian is no longer afraid to talk politics. Covering the September issue of Harper's Bazaar Arabia, Kardashian opens up about wanting to be more vocal about the issues affecting the U.S. "Sometimes I feel like I want to speak out more about political issues," the E! reality star, 36, admits. "You have to be really careful about what you say, because a lot of things can be taken in the wrong context and I always want to be respectful; I don't want to hurt anyone's feelings." 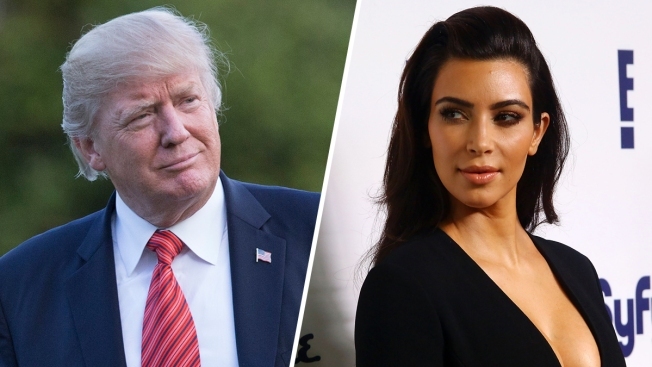 The "Keeping Up With the Kardashians" star is no fan of President Donald Trump, whom her husband Kanye West met with in New York City last year after the election. "Anyone can run the U.S. better," Kardashian says. "My daughter [North West] would be better." "We've worked so hard to get to where we were and to have so many things that we were so proud of in our country, to just literally revert backwards is the most frustrating thing," she says. "Every single day when you can't really believe what's going on, the next day it's something else even more crazy and tragic. It's really scary, the world that we're living in now," she says. "And when you did feel safe at home, now with Trump in presidency, you just don't feel safe any more."